Learning from the mistakes of their predecessors and armed with the knowledge that their messages can be used against them for years to come, employees across the globe have become more discreet in their conversations. With end-to-end encryption and media platforms such as WhatsApp and Snapchat becoming a common method of communication for employees in the workplace, it has become increasingly difficult to locate the e-mail message that cracks a fraud investigation wide open. Despite the increase in discreet communications, one thing has remained a constant. Fraudulent conduct will always involve a financial transaction. This transaction is likely well-camouflaged, buried in a larger transaction or generated from a slush fund, but it will be there. This shift in behavior has only further strengthened the relationship between attorneys and those best equipped to locate these transactions: forensic accountants. 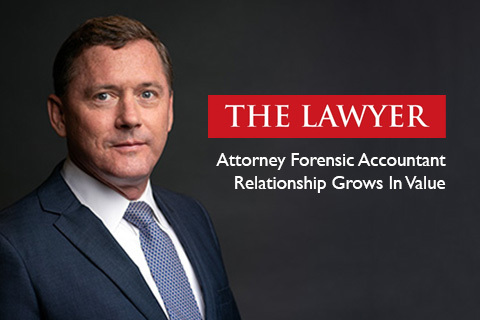 In The Lawyer this month, FRA Director Michael Trahar makes the argument for stronger ties between attorneys and forensic accountants, and bringing forensic accountants into an investigation early on.